We have received a grant from the Big Lottery Fund for equipment for our organisation. photographs taken during the Autumn Coffee Morning are in the 'Events' collection on Flickr - Keyworth U3A. 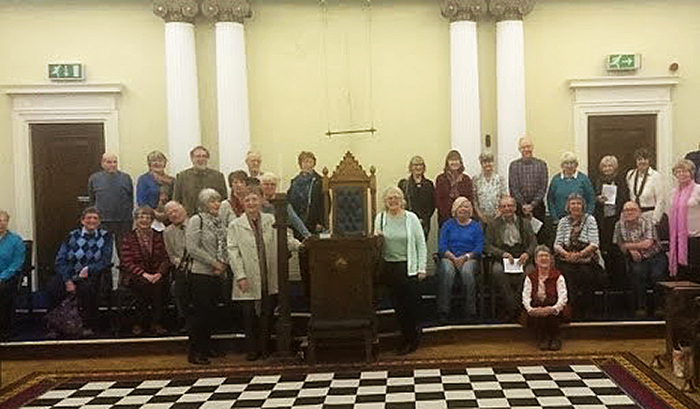 Photograph taken during the New Horizons guided tour of the Nottingham Masonic Hall, 8th March 2017.